Badger cubs will be shot under plans to shift the controversial cull to early summer in 2015, the Guardian has learned. The badger culls, aimed at curbing tuberculosis in cattle, have so far taken place in the autumn and have repeatedly missed their minimum kill targets. Cubs are easier to catch and shoot and are more numerous in early summer, making it more likely an earlier cull will hit its target. But scientists have warned killing cubs rather than adults has less effect on cutting TB, while animal campaigners condemned the plan as “appallingly crude and desperate”. The National Farmers Union (NFU), which speaks for the culling companies, said government licences permit culling to begin any time from June. The Department of Environment Food and Rural Affairs (Defra) said the timing of the culls was a decision for the culling companies. 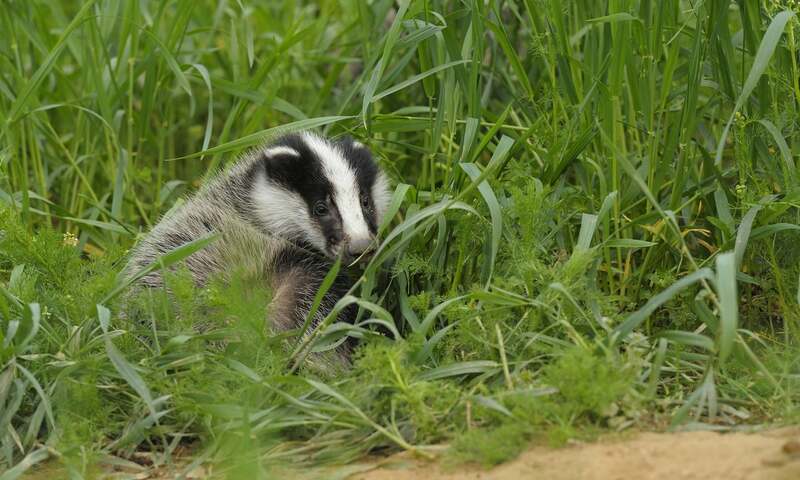 Badger cubs are born underground in February and first emerge in April. While the cubs and their parents legally cannot be culled until the start of June, it is legal to shoot them under licence afterwards. The cullers intend to start in June or July 2015, according to Guardian sources. However, leading badger expert Professor Rosie Woodroffe, at the Zoological Society of London, said: “They may well catch more badgers if they cull in June, because young cubs are naïve and easy to trap. But many of cubs die in their first year, especially in dry summers. So killing 100 badgers in June wouldn’t reduce the badger population as much as killing 100 badgers in November. He walked into the office of the Bulletin and asked if that paper cared to have a story about a sea serpent. He was asked not to slam the door in going out. Nothing daunted, Ayres again descended on the office,bearing a large carpet bag. Depositing the package on the sporting editor`s desk he insisted upon opening it,and revealed to the surprised gaze of all the bones of the head of a huge sea monster. The jawbones measured about four feet, the head being a couple of feet wide. There were 160 teeth, 80 upper and as many lower. The specimen was utterly unlike anything seen as far as the records go. Ayres stated that he had purchased the head from a Chinese fisherman who had found the body of the serpent washed upon the shore, the body measuring 78 feet, apparently having been killed by some passing steamer. Yet another Curate's Egg of a day, but then again it always is. Two of my favourite fish died in the night, but they had both been looking a little off colour and defying everything that Graham, Tammy and I could do to help them. Sad but true. I am hearing disturbing whispers that those peculiar folk who apparently operate from a community deep in the woods on the Cornish border, are releasing a two song Christmas single. They apparently harbour the wish that "hope it replaces 'Mistletoe and Wine' in the affections of the great unwashed". I would hazard a guess that a song called 'Genocide' featuring what I can only imagine is a totally unlicensed David Bowie sample, is unlikely to be out for very long in any form before a Cease and Desist letter comes. And as for it becoming a perennial Christmas favourite? Who knows? But it is in far better taste than many Christmas songs. I can't wait for the A-Side next week. Iconic Prog Rock Band Yes Releases "Like It Is"
ON THIS DAY IN 1851 - American librarian Melvil Dewey was born. He created the "Dewey Decimal Classification" system.